Fresh Dough - made daily and aged to perfection, so the yeast has time to create that 'to die for' flavor. Fresh Italian Sausage. 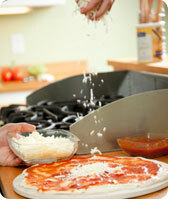 This is where most other pizza joints skimp on quality by using pre-cooked and frozen meat pellets. At Pizza Man, we only use Fresh Sausage, seasoned with our special herbs and spices to make the taste pop in your mouth. Freshly Shredded Cheese - shredded in-store every day. Our cheese supplier is an award winning cheese-maker locally based in Wisconsin. 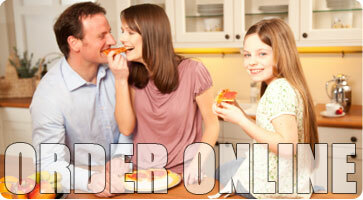 Those are just three of the many reasons to choose Pizza Man over everybody else. Our commitment to quality is second to none in the Pizza Delivery Business - or should I say, Put a Smile on Your Families' Faces Business.